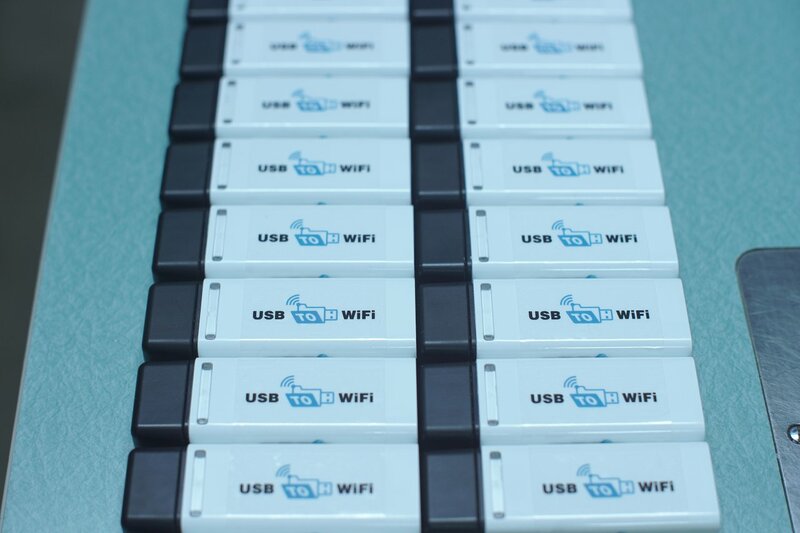 With the USB to WIFI device, can multiple sticks be used to share the same files and folders? If you have more than one USB to WIFI stick, you can use each stick to network your equipment to one central PC/Folder. Therefore you could have a warehouse of 30 machines, each with one USB to WIFI stick, and have all 30 machines share one central file storing location. For example, all the files can be stored on one folder on one central PC. Perhaps on the shop foreman’s PC. Likewise, if you have more than one stick, each stick can be setup to communicate with different remote folders if desired. Wireless Sharing of Files, PCs and Folders with USB to WIFI is easy with the USB to WIFI device. There are no drivers or software to install. The device acts like a regular USB memory stick but, transfers the files via wireless / wifi. IF you machine doesn’t have USB but has a floppy drive, we can also convert that! Check out our Floppy to USB / WIFI converter combo.